– What if you only need a few items hauled off? – What if you need a house cleaned out? – What if you need helpers with your trash or junk removal? Happy Trash can help you with these situations as well. Happy Trash has sub-contractors available to help with small junk removal jobs as well as large property or job site cleanup. If you need junk hauling in Lubbock or the surrounding area Happy Trash can help. Types of jobs we help people with. – Customers cleaning tree branches or other landscaping and need help hauling or loading it away. – Customers with empty lots for Illegal dumping clean up. We have customers that come from out of town and don’t have work crews to help them when cleaning out a house. We have customers that don’t have the physical ability to clean up a property themselves. We also have customers that don’t have the time to do the manual trash hauling labor. 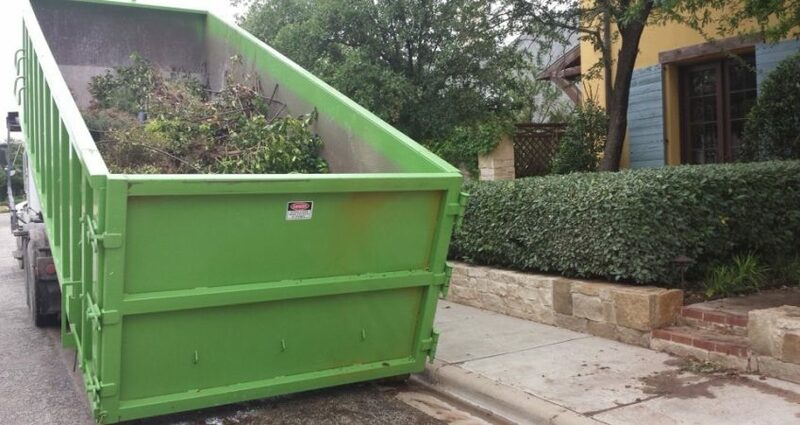 We can deliver a roll off dumpster and have it loaded and removed for you. You don’t have to even come to the job site. We can remove furniture, trash, building materials, most appliances, yard waste, household waste and other property. Of course, if you don’t need help hauling junk Happy Trash can bring you a roll off dumpster you can load yourself. You don’t need to rent a trailer, load it, go to the dump and unload it, pay dump costs, and return the trailer. Just carry the trash to the front of your house and be done with your project. Whatever you decide works best for your situation. Copyright © 2017 Happy Trash LLC.. All rights reserved.